For Eileen and Sadie Haupt, this year’s March for Life, centered around the theme “Every Life is a Gift,” held special meaning. During her pregnancy with Sadie, her second daughter, doctors asked Eileen if she wanted to undergo prenatal testing to see if her child had any health issues. Just as she had done with her first child, Eileen, who was then 39, opted out. But when Eileen held Sadie in her arms for the first time after giving birth, she noticed something slightly different about her child when looking into her eyes. Sadie’s eyes were puffy, and in her head, Eileen told herself that her newborn had Down Syndrome. “It’s not to say that it wasn’t emotional—it was emotional at times. But we just adapted pretty well, I think,” Eileen told The Daily Signal. When Sadie was an infant, Eileen stumbled upon a statistic that said 90 percent of babies with Down Syndrome are aborted. That moved her to action. She and another mother of a child with Down Syndrome, Leticia Velasquez, started the group Keeping Infants with Down Syndrome in 2008 to raise awareness about the abortion rate of babies with the disorder. They come to Washington, D.C., every year to participate in the March for Life. >>> 24 Signs Spotted at the March for Life (Check this photo link out – awesome pics)! 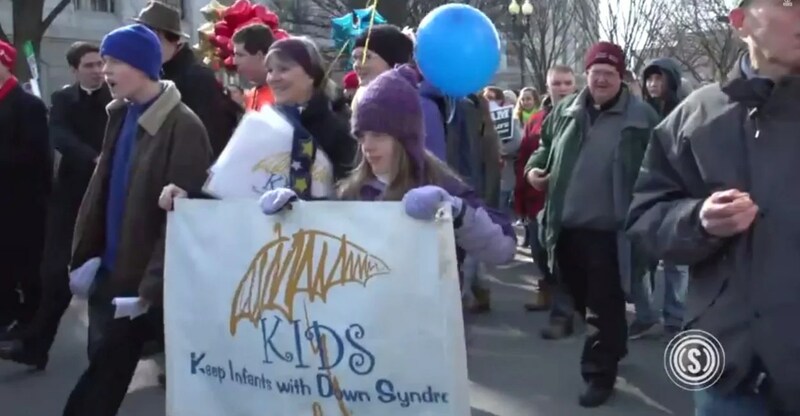 “We really felt there needed to be a presence in the march for families who have children with special needs, and in our case Down Syndrome,” Eileen said. More than 15 parents and their children traveled to Washington, D.C., this week to March with KIDS and the hundreds of thousands of other attendees. Though they, too, came from across the country, the families bonded with one another over their experiences with Down Syndrome. At the March, blue and yellow balloons traveled with the group as a symbol of their efforts to raise awareness about the disorder. March for Life attendees gathered yesterday in the shadow of the U.S. Capitol for the annual event. The gathering began as an answer to the U.S. Supreme Court case Roe v. Wade, and this year’s event marked the 42nd time demonstrators made the 1.5-mile walk. “Prenatal tests can tell you a lot. But it cannot tell you the love and the joy that child can bring to the community. There’s just no test for that,” says Eileen Haupt. Students, teachers, nuns, priests and families from all corners of the country came together to march from the National Mall to the Supreme Court, calling for an end to abortion. 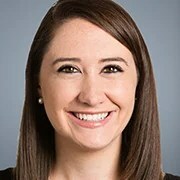 Millennials donned signs proclaiming themselves the “pro-life generation” and mothers pushing strollers held others calling for an end to the procedure. For parents struggling with whether to keep their baby after prenatal testing, Eileen has one piece of advice. >>> What Life Is Like at 20 Weeks in the Womb (Check this Link Out too)! 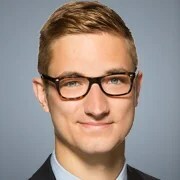 Alex Anderson is a news reporter for The Daily Signal. Send an email to Alex.